When you’ve finally figured out your face shape and discovered which hair styles compliment you best, the ‘lob’ becomes popular. It’s not too long and it’s not short, it falls somewhere in between. 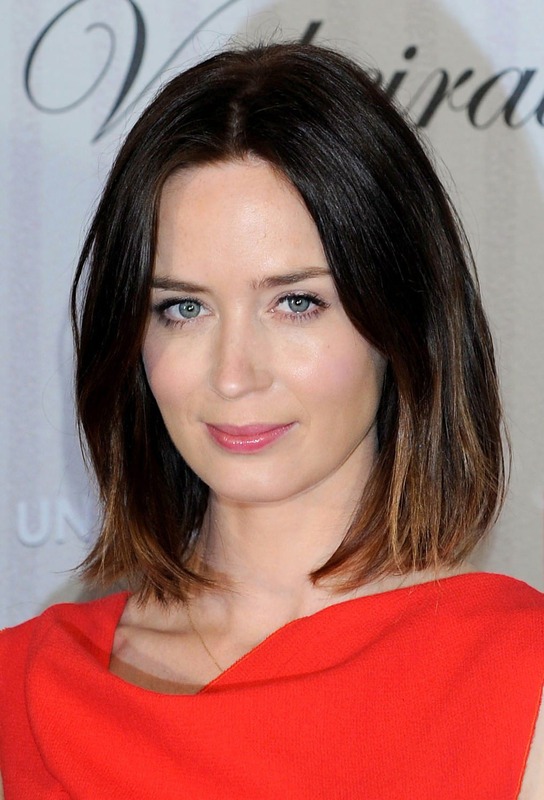 It is the long bob cut that has been seen all over Hollywood amongst the A-listers recently. From Victoria Beckham and Emma Watson to Emily Blunt, British celebrities are embracing the movement for a style somewhere in the middle, with a cut that ‘suits all’. The ‘lob’ compliments all hair types, and doesn’t discriminate against age. Read on to find out the style of lob that will work well with your hair. The bob has always been a popular cut throughout the decades. Originally created during World War I, women chopped their locks as they became part of a busy workforce and it has been popular ever since. This tells us the look is low maintenance and signifies independence. The ‘lob’ is ideal for any face shape and hair type. If you have fine, thin hair, a shorter, choppier, graduated bob will suit your slight hair. This works well for Gwyneth Paltrow’s fine hair. She has stacked layers which have been cut shorter at the back of her head and a longer length at the front. If you have discovered you have a round face and believe the traditional bob will not suit your features, then a long bob is the style to go with. If you have a long face and forehead, why not get a fringe cut in to break up the look. A side sweep fringe is less daunting than a full on blunt cut. This allows the bob cut to enhance your features and hide an unflattering forehead. Look to Naomi Campbell for an inspirational fringe. The look is versatile, allowing you to wear your hair air dried or poker straight. January Jones is constantly updating her lob, check out her curled look. It is also long enough to allow you to tie your hair back when needed, especially in the hotter summer months. Unlike the traditional short bob, the ‘lob’ permits up do’s for working out, for special events and at work. Jennifer Lawrence is amongst the latest celebrities to sport the shorter look. She cut away her surf curls for a more sophisticated lob. If you possess curly or wavy hair then you are best to avoid a shorter bob. This will only turn your luscious curls into a triangular mess of tresses. Again a longer bob would that can be layered at the ends to create a textured shape would suit you best. If the cut is good enough for Jennifer Aniston, you know you’re onto a winner. This practical hairstyle can be fun when styled, whilst still remaining classically stylish.